£16,995+VAT Finance From £459.13 p/m*. Direct From Leasing Company With 45000 miles And Full Isuzu Service History, High Specification Model, Stunning Looking Truck Viewing Recommended! £14,995+VAT Finance From £405.73 p/m*. Stunning Looking Top Of Range Model With Every Extra Inc Lift Up Mountain Top Direct From Leasing Company With Full Service History! Begin your search a used Isuzu here at Southern Commercial Sales Ltd in Eastbourne. As a leading supplier, we stock used Isuzus of the very best quality at prices you’ll love. We also have access to top finance deals that can be tailored to match your personal budget. 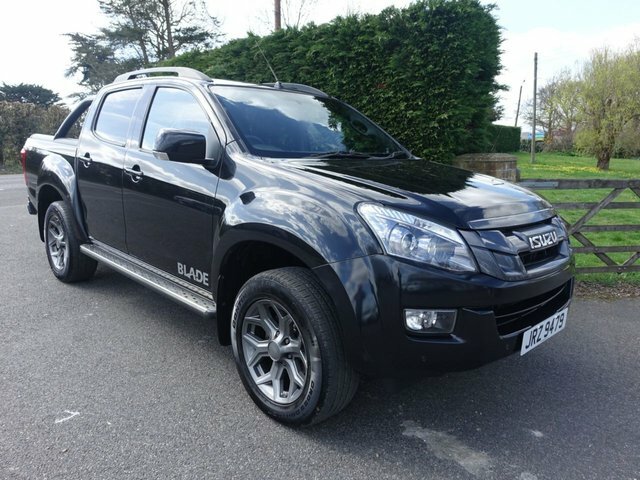 The leading Japanese manufacturer, Isuzu, is responsible for a wide range of reliable commercial vehicles that you will find competitively priced here in Eastbourne at Southern Commercial Sales Ltd. Whether you're looking for an affordable but durable 4x4 or something of a simple-structure, Southern Commercial Sales Ltd has got something for every business. Take a look at our very own range of quality used Isuzu commercial vehicles at Southern Commercial Sales Ltd in Eastbourne today or call us for more information.